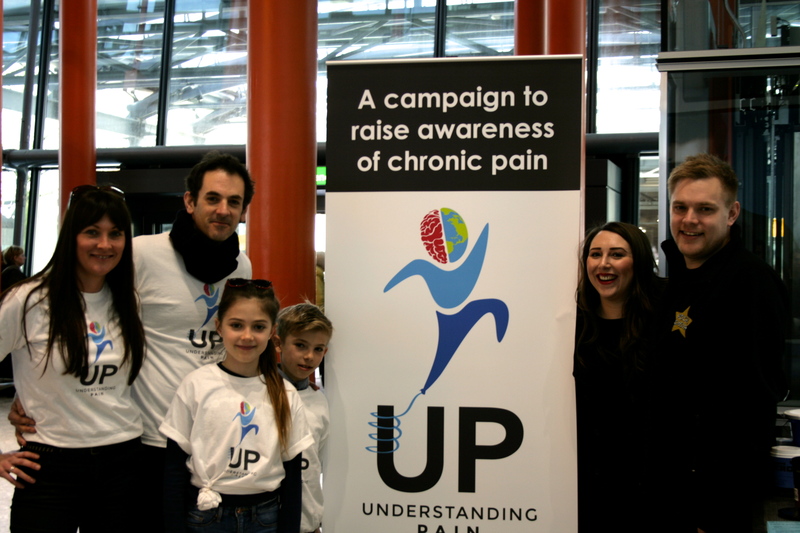 UP | Understanding Pain launch a massive success! 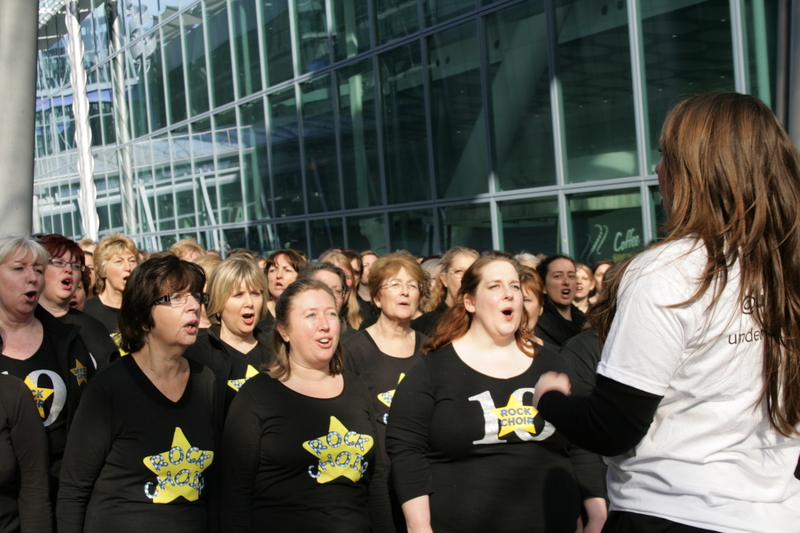 On Saturday we held our launch event at LondonHeathrow Terminal 5 with over 700 Rock Choir singers performing favourite songs. It was an incredible day as the music created a powerful voice to raise awareness for chronic pain, the number one global health burden. UP is not just about telling the world that pain is a problem though, we are passionately spreading messages about how you CAN overcome pain, even in the direst of situations. No-one illustrates this better than my co-founder, Georgie Standage, who now leads the fullest life having worked with tremendous effort to overcome complex regional pain syndrome (CRPS). Yesterday was no exception as Georgie was interviewed on BBC radio yesterday morning and then on itv news just before leading her choir at our mammoth event. The epic centrepiece was the positioning of the choirs across the walkway creating the most amazing sound. This was also a great opportunity for me to address the 700 singers and the audience about why we were there. I simply pointed out that chronic pain is the number one global health burden, a fact that no-one knew, and that now we understand pain so that we can give the right messages to sufferers so that the right action can be taken to overcome their pain. The biggest issue is the misunderstanding of pain, which means that people are not receiving the facts about their pain and hence struggle to move forward, often becoming increasingly limited in their lives. We argue that this does not need to be the case when people understand their pain and then know how to use this knowledge practically so that they can restore a meaningful life. People were so very generous and donated money that we are putting towards the next event as we build the momentum to challenge the status quo in pain, and drive our mission forwards with passion and music. We are also planning to run a series of coaching programmes so that we can make the knowledge and skills available for sufferers and their carers. This was the most amazing way to start our campaign. But this is just the beginning. From here we will pursue our mission with increasing passion and gusto inspired by the immense support we have received — Facebook, Twitter and You Tube has been saturated with incredible messages and comments, showing how pain affects everyone somehow. It is time to make serious changes in how people think about pain across the board. The practice in healthcare is simply too far behind what we know, and at UP we are determined to close this gap. Please show your support by spreading the word! Tweet us @upandsing and like us on Facebook.